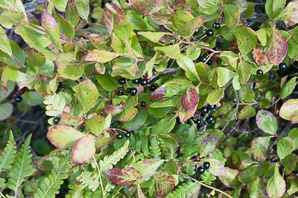 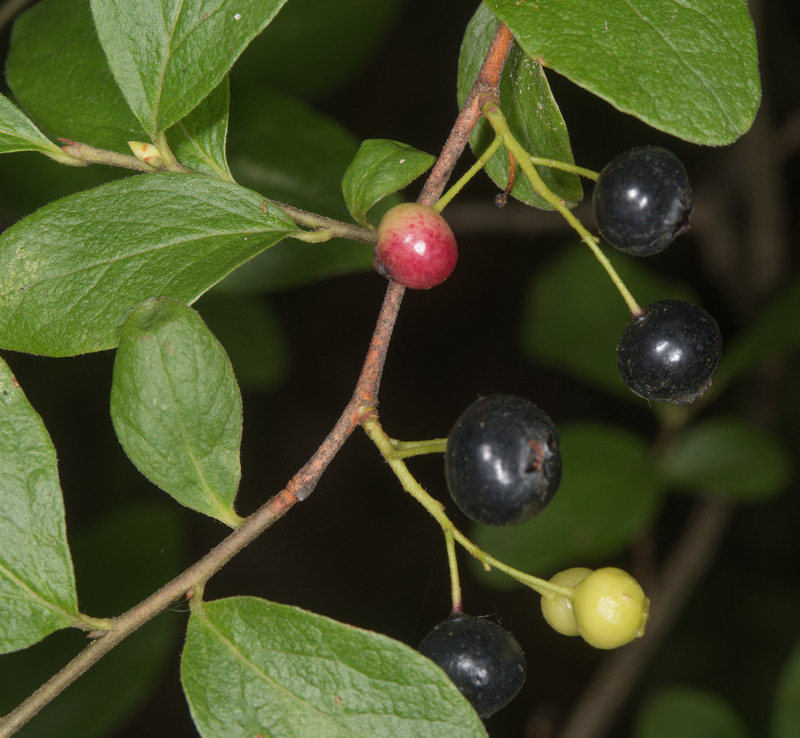 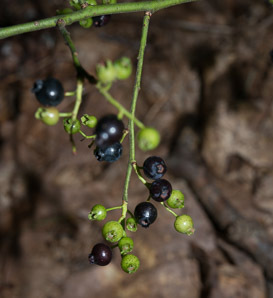 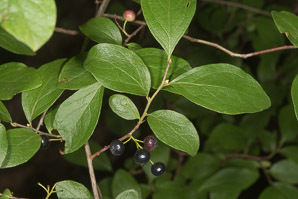 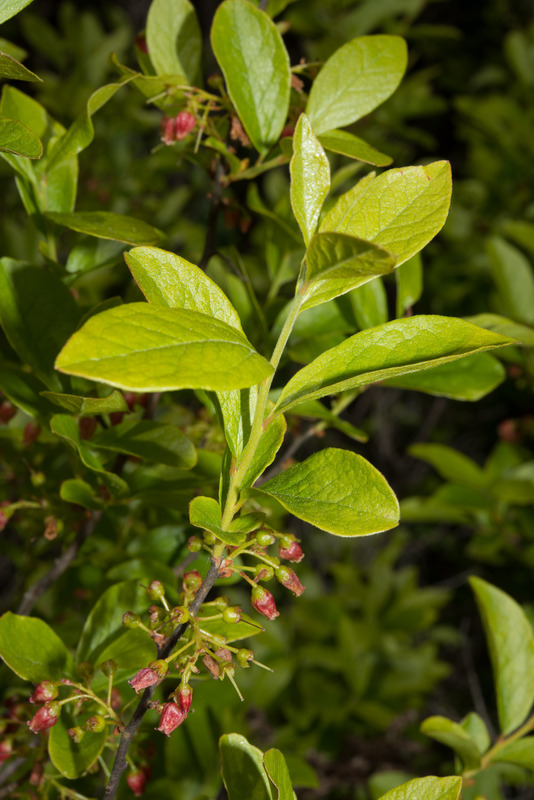 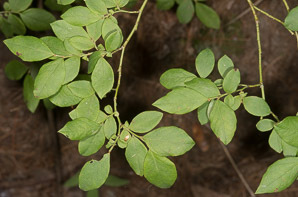 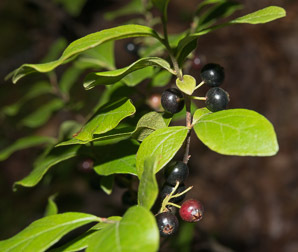 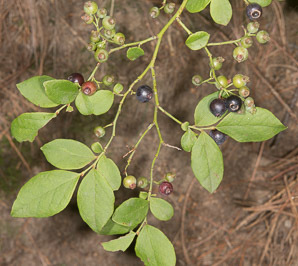 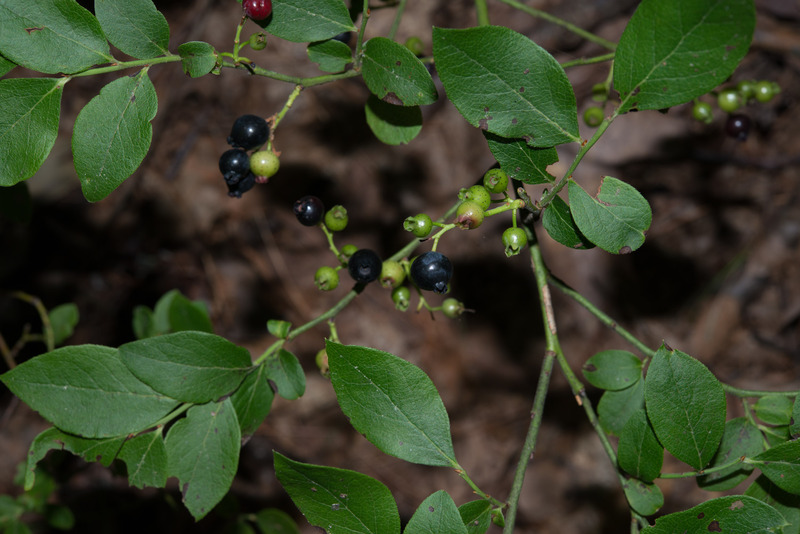 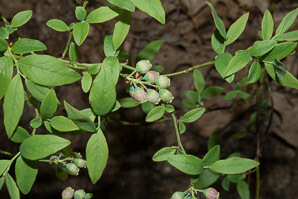 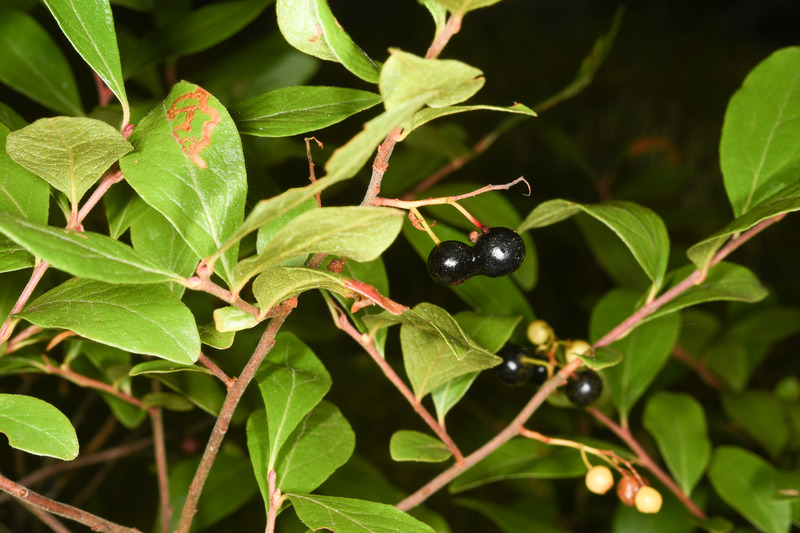 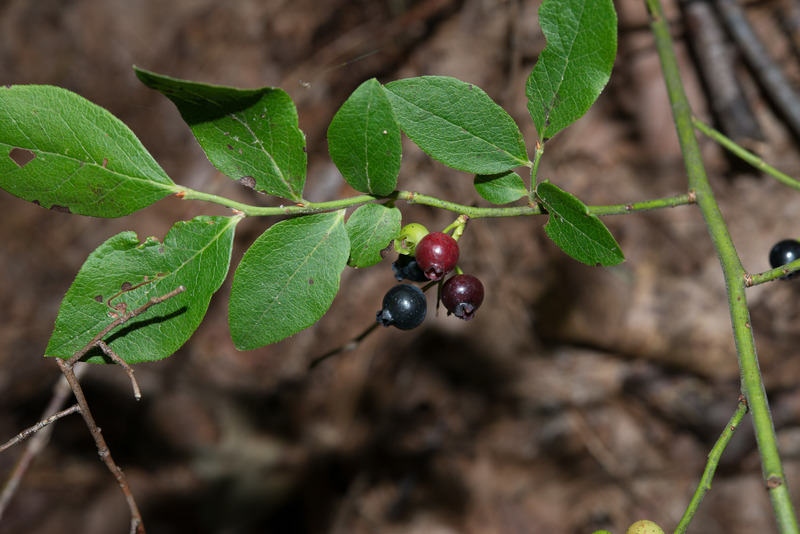 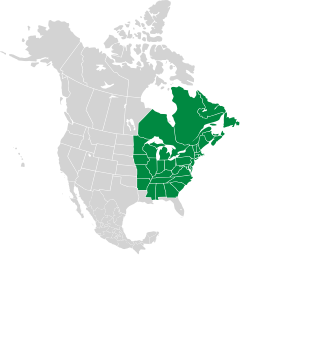 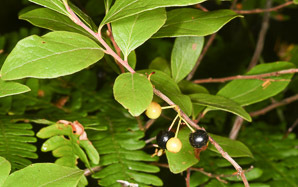 Black huckleberry is a North American native. 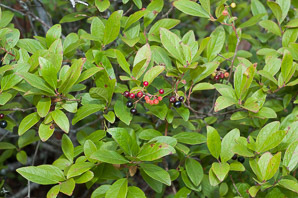 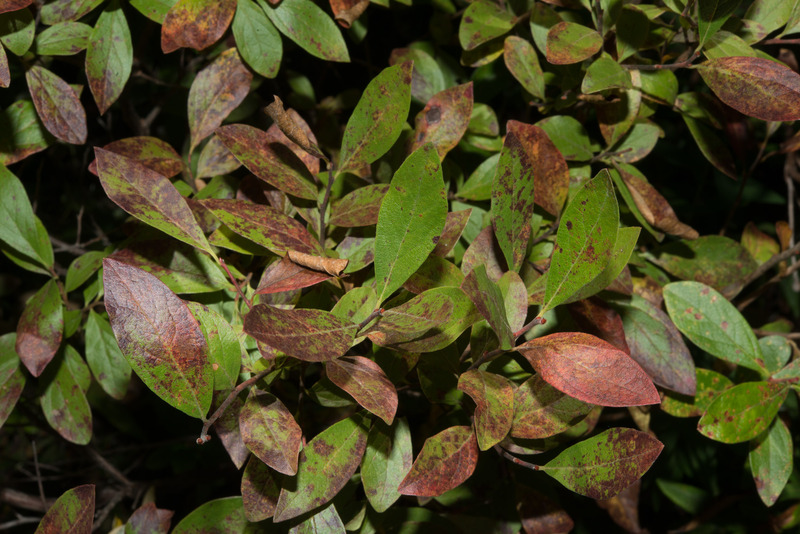 Plants: Shrubs are 12-36" (30-91 cm) in height, with stiff branches that are light brown or greenish when young, changing to gray or black with age. 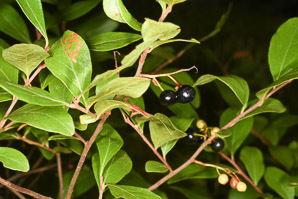 Shrubs are found in colonies. Leaves: Leaves are oval, becoming orange/red in the fall. Leaves are coated with gold-colored resin glands. 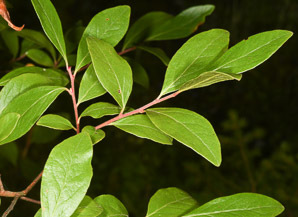 The resin can be seen by rubbing the leaves between your fingers, or on a piece of paper. 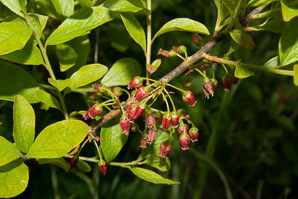 Flowers: Flowers are pink, about ⅜" (9.5 mm) in size, and urn-shaped, in racemes. 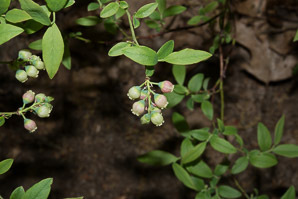 They bloom from May to July. 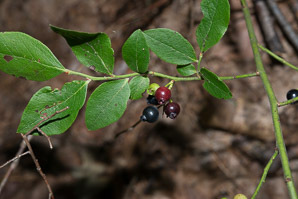 Fruits: Berries contain 10 seeds, fewer than blueberries. They are red while immature, turning shiny black. 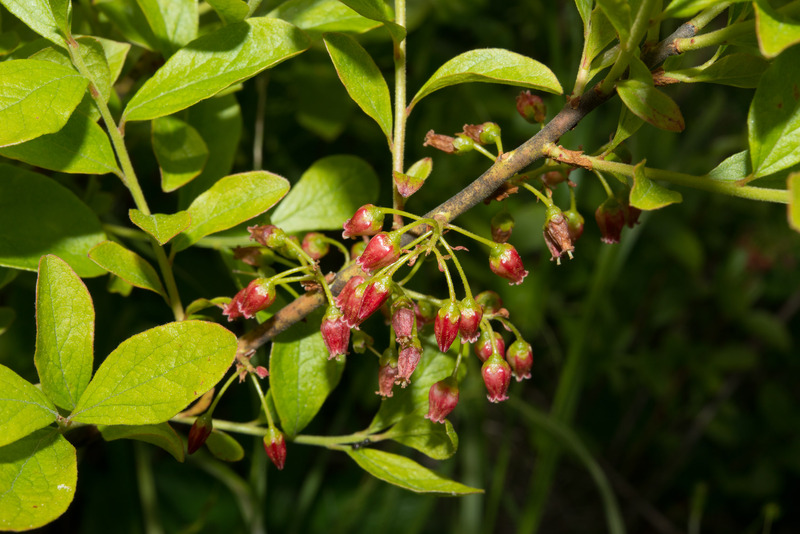 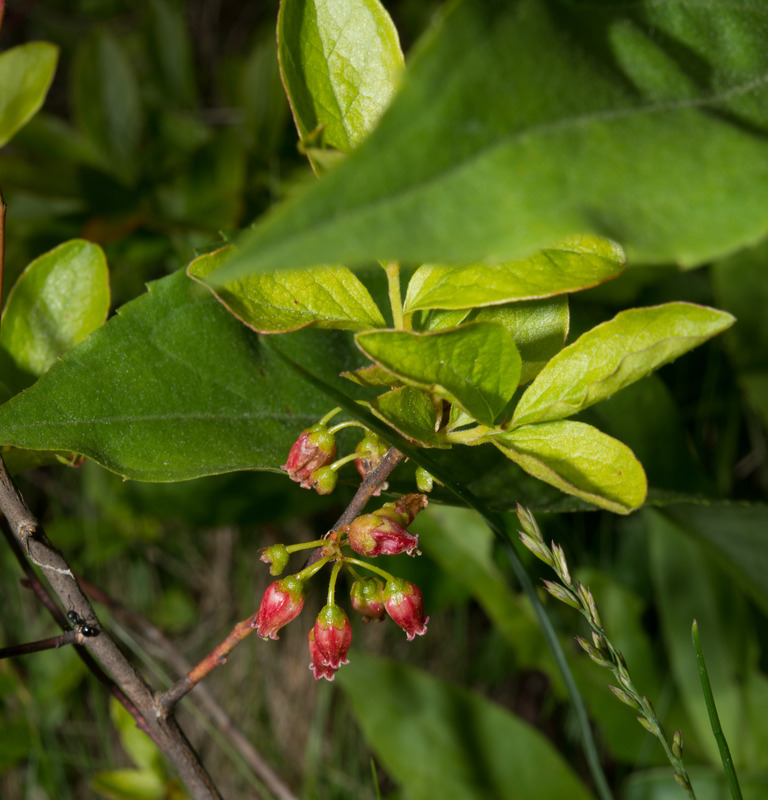 This Gaylussacia and Vaccinium comparison chart com­pares these closely related genera, both of which contain plants called huckleberries. 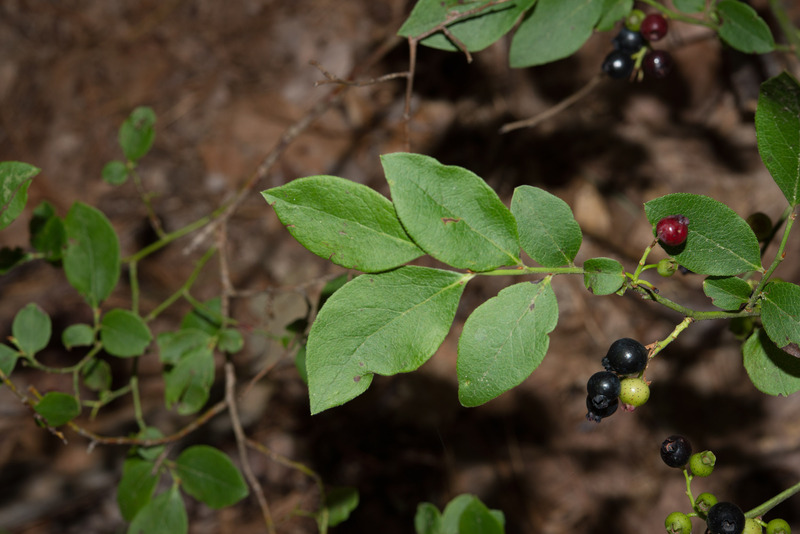 Edibility: Delicious raw or cooked, though seedy; spicy and sweet. 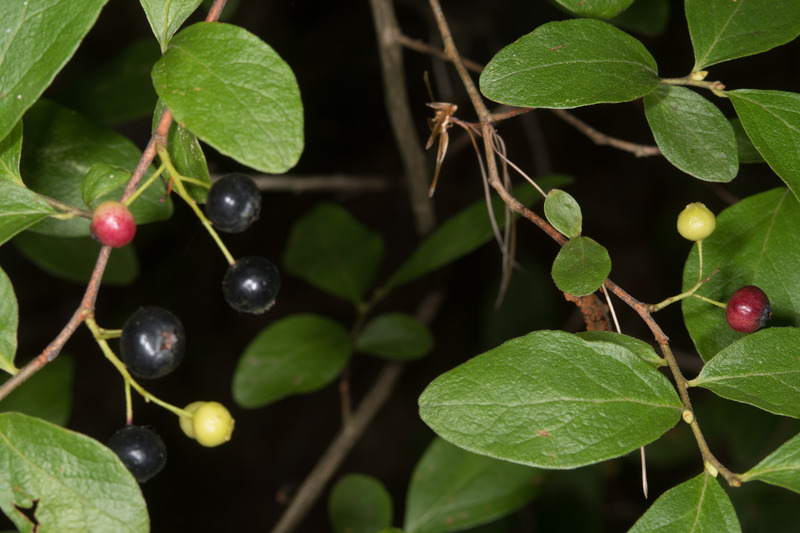 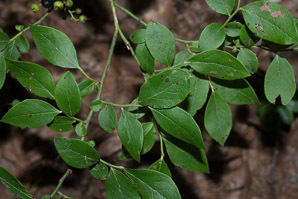 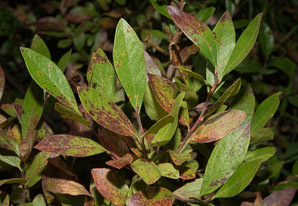 Gaylussacia baccata description by Thomas H. Kent, last updated 2 Jan 2019.